EurekaFacts was hired by the city’s mayor to conduct research to assess citizens’ needs and preferences regarding its smart city initiative. 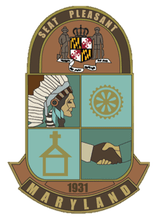 As a small municipality in Maryland, Seat Pleasant is unique in seeking to build a functional smart city. With a mostly African American population of just under 5,000 citizens, Seat Pleasant is demographically different from larger, more diverse cities such as Santa Clara, California or Portland, Oregon which have implemented smart city initiatives. Attempting to build a functional smart city is a historic step for Seat Pleasant, the state, and for small municipalities in general. Social benefits could mean lowering the cost of living in an area, conquering the digital divide, enabling upward mobility for disadvantaged populations, making neighborhoods and streets safer, providing greater access to healthcare and education, reducing food and water insecurity, or creating better-paying jobs. Financial benefits could mean that cities with advanced telecommunications could attract business and industry. Lower crime rates also lower the cost of doing business than in a city with high crime rates. Cities that promote smart mobility, smart payments, wi-fi, etc., appeal to tourists. Environmental benefits could mean the ability to better monitor and control energy and water usage in ways that promote conservation, energy efficient buildings with reduced carbon emissions, and smart devices that help ensure cleaner water and air. The EurekaFacts research included an environmental scan and information synthesis, as well as a rapid ethnographic assessment. EurekaFacts reported on various definitions and concepts of a smart city, common barriers or challenges cities face when transitioning to a smart city, a case study on public safety in smart city technologies, a rapid ethnographic assessment, and qualitative interviews with residents and key personnel in Seat Pleasant. Overall, based on the interviews, residents were eager and amenable to smart city changes. They recognized the value that such changes would have to the city overall and the potential impacts on their daily lives, such as feeling safer in their neighborhoods and at local retail establishments. Education and outreach strategies are the key in ensuring that residents feel actively engaged in the exciting evolution of their city. EurekaFacts is a full-service market and social research firm in the Washington, D.C. area. We help leaders understand and shape successful programs, communications, and brands through data collection and advanced analytics. Since 2003, we have collaborated with government agencies, nonprofit organizations, and corporations to answer their research questions and business objectives. EurekaFacts is ISO 20252 certified, the highest quality standard in market and social research. Established in 1931, Seat Pleasant, Maryland, was designated as the world’s first authentic small smart city in 2017. The four smart city key pillars in Seat Pleasant are 1) connectivity, interoperability and cohesion, 2) a single view of operations, 3) data-driven decision making, and 4) digital government services and processes.